Just 10 days for Diwali and I am yet to start my Diwali preparation. This year Diwali falls on our special day and it is double special for us, I have shared about how special day is Nov 10 to us on my old Post Here. It interested do checkout that post and some of blogger friends might have remember that I guess. Even though it is working day for V and kids, I planned few things to refresh and enjoy one of our life's special day. Ok Now Coming to the recipe, Milagu Karasev. 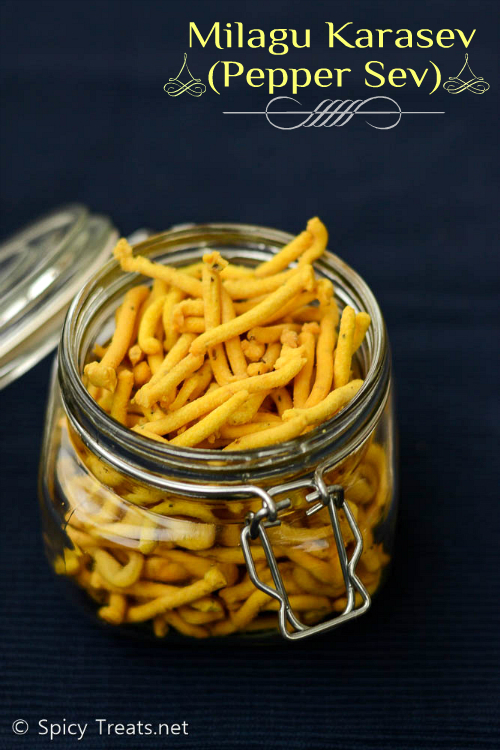 I am not much fond of Karasev but I like the Yellow colored Milgau Sev that is soft and mildly crunchy sev with full of black pepper flavor. 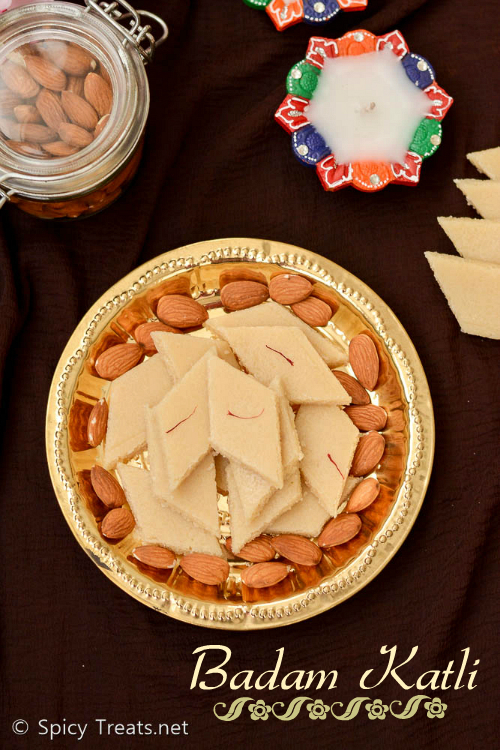 Badam Katli Recipe | Almond Burfi Recipe | Diwali Special Sweet Recipe - Badam Burfi ! Badam Katli/Badam Burfi recipe with step by step photos. 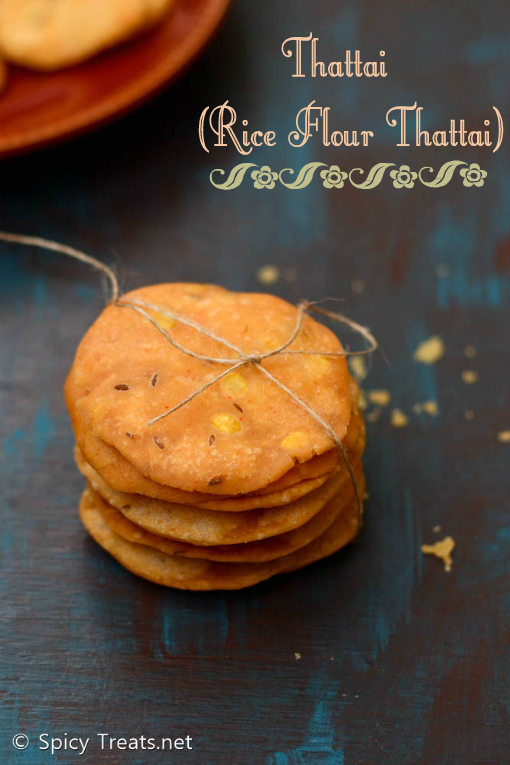 Badam Katli is another easy and equally addictive sweet like Kaju Katli. I wanted to try this Badam Katli for long time and finally last week gave it a try. The first attempt wasn't successful, the burfis turned out too sweet and hard crisp due to more sugar i think. Then again tried with little less sugar quantity and the burfis turned out pretty good. 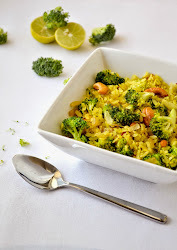 I followed the same recipe of my Kaju Katli and only difference is instead of raw Almonds / Badam I used Blanched Almonds. 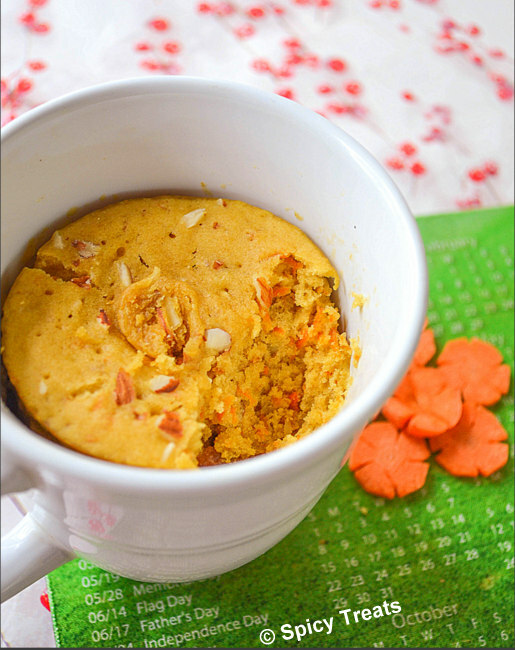 If you have blanched almonds in hand then you can make this burfi in 15 minutes or less. 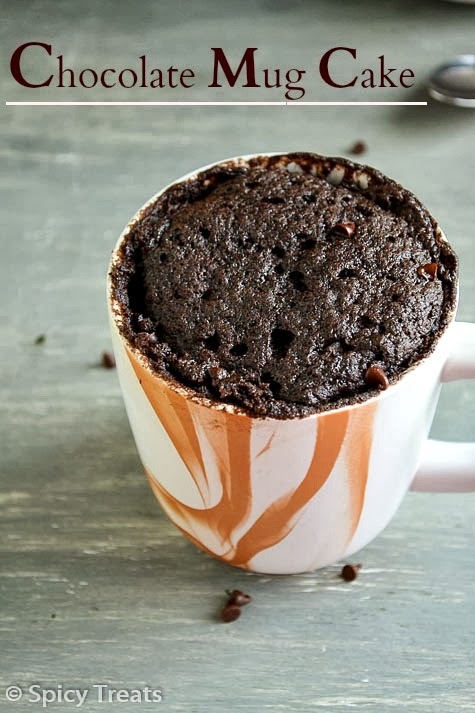 My kids loved it a lot and I am planning to make it again for Diwali. 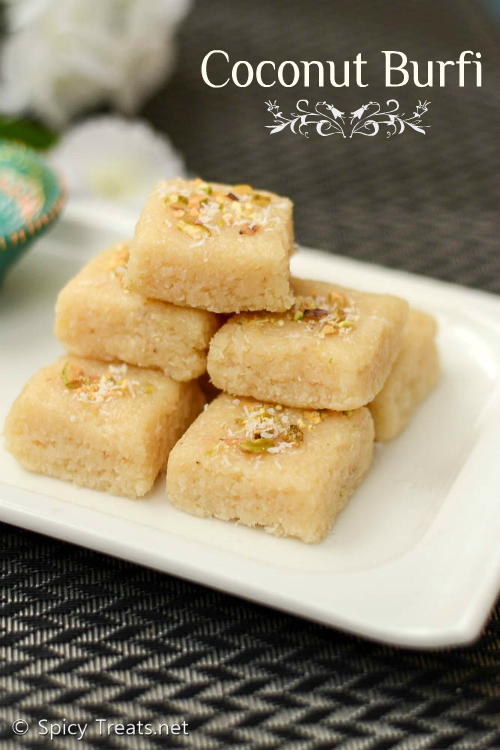 Today i am sharing another easy and tempting Diwali sweet recipe, Coconut Burfi. This coconut burfi is very simple and you can make it in a jiffy. V and myself, both are fond of coconut burfi, the one we get in theaters crispy sugary coconut burfi made using fresh coconut. I have tried it many times but every time I ended up making hard burfi or soft juicy burfi, due to the moisture from fresh coconut or wrong syrup consistency. I referred and followed all the tips n tricks from my co-bloggers' post but i couldn't get it correctly. Today's recipe is another easy and quick traditional Indian Sweet, Maa Laddu. 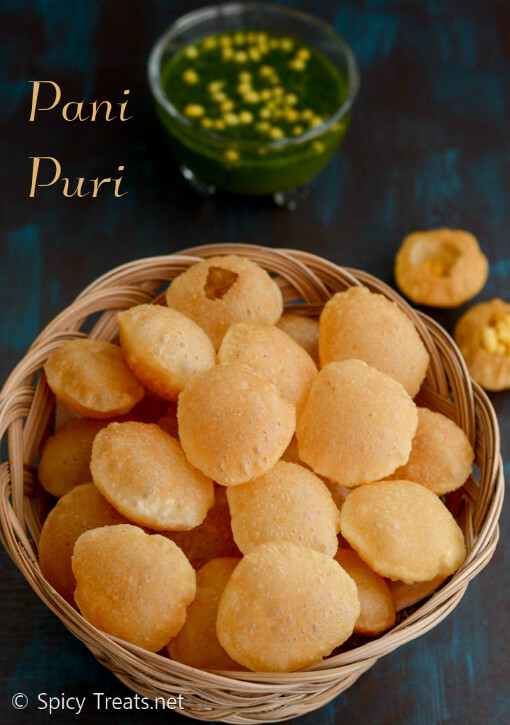 If you are looking for simple Prasad for Navaratri, then this Maa Laddu is one best choice. 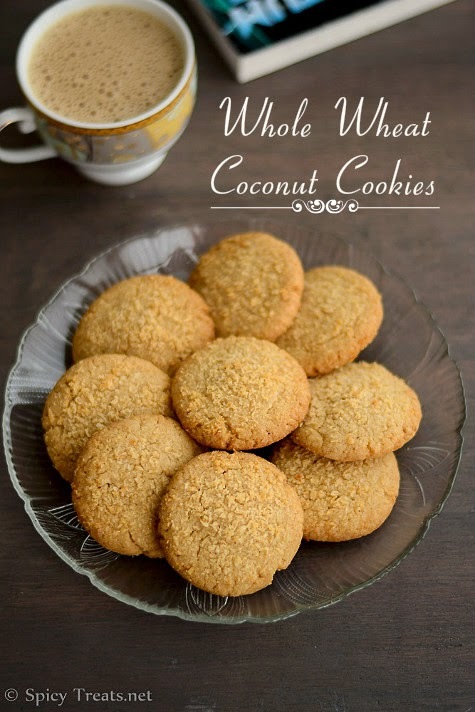 It is not only easy, a healthy snack/sweet for growing kids. 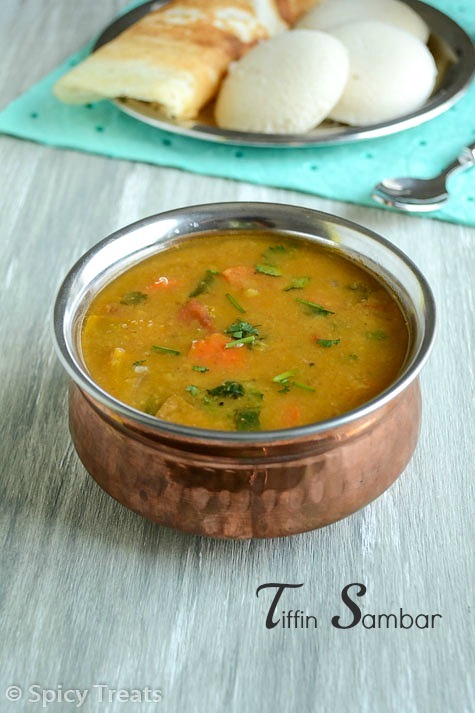 During my childhood days, we used to eat sugar and roasted gram dal as snack when we don't have snack at home. Mostly, we powder it coarsely and have it as such or along with coconut. 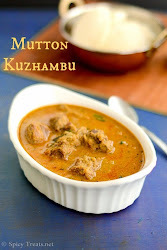 Whenever, me, my sister, cousins play with our cooking set, we make this pottukadalai maavu and we all ate together with those miniature dinner sets :) We used to play for hours together with our kitchen set. Those are golden days, wish i had some rewind button to go back and enjoy once again those childhood fun and care free life. Now off to the recipe, For This Ladoo along with ghee, I also added 1 tbsp milk to get soft and smooth ladoos. 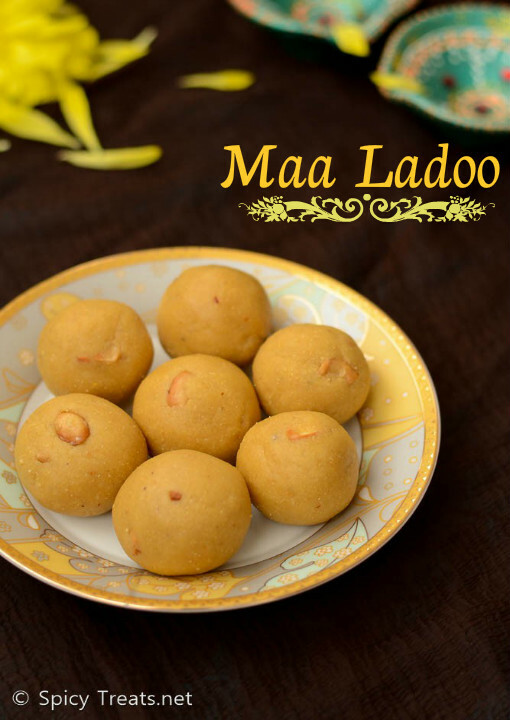 Milk gives nice texture and taste to ladoos, but if you can skip it and use ghee alone to make Maa Laddu. Happy Navaratri Wishes To all Who Celebrate the occasion. 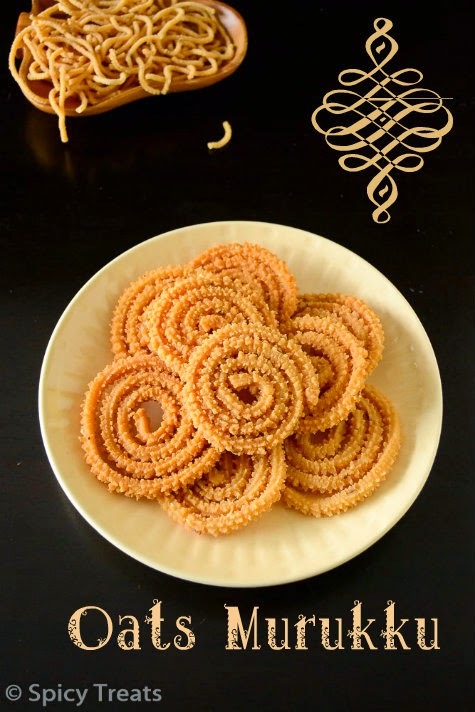 Navaratri started from today and my FB news feed is flooded with sundal varieties and Neivedhyam recipes for the occasion. 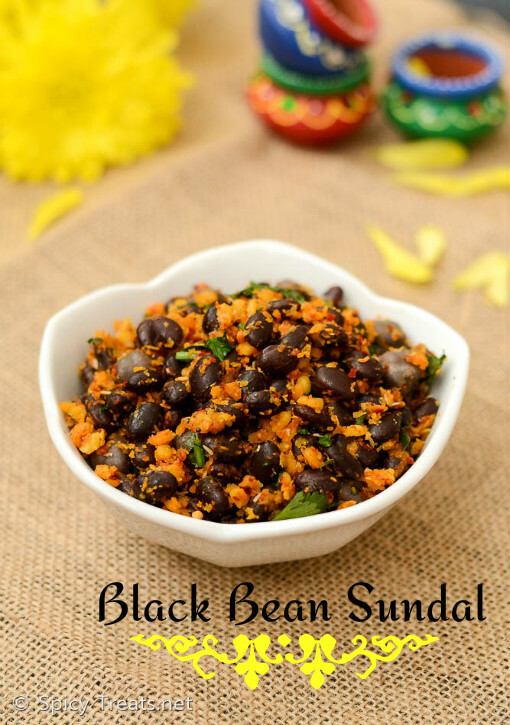 Actually, I don't have any plans to share Sundal recipes this week since, last week I cook and clicked almost 10 recipes including chaats and main course. 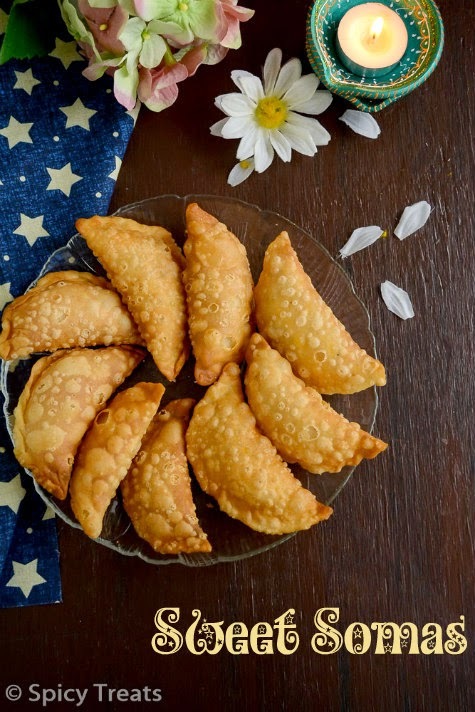 But today after seeing so many Navaratri related recipes I am tempted and wanted to share something related to the occasion. 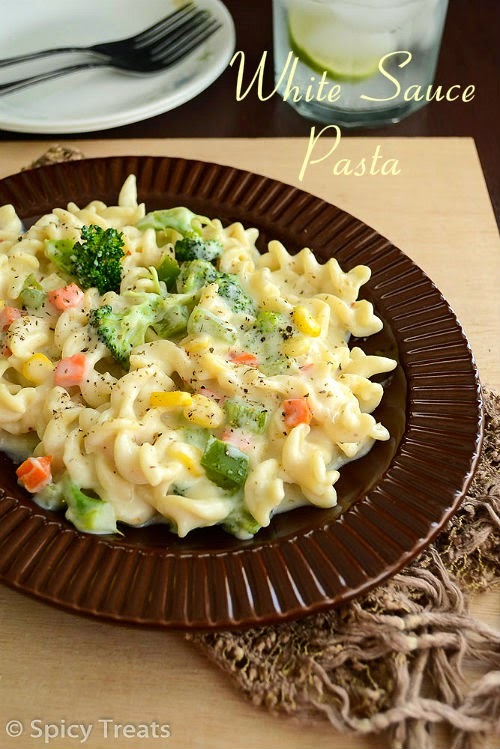 is one of our favorite breakfast recipe too. 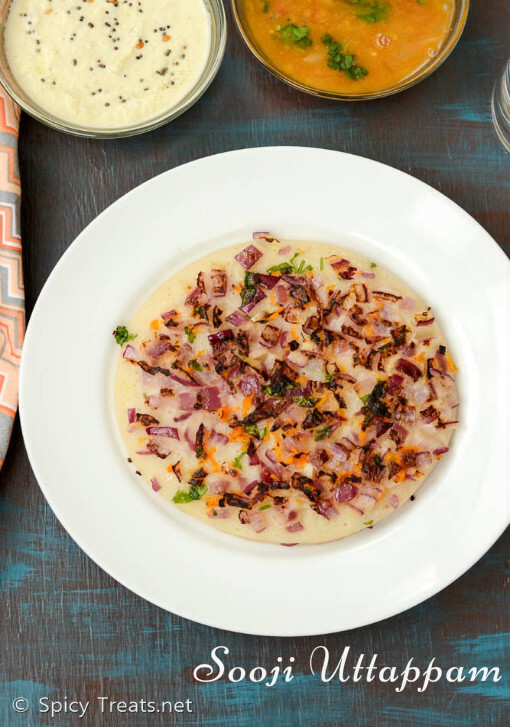 Onion Uttappam With Coconut Chutney is my favorite combo, I love Onion Uttappam and is my constant order at Salem KCB Hotel. 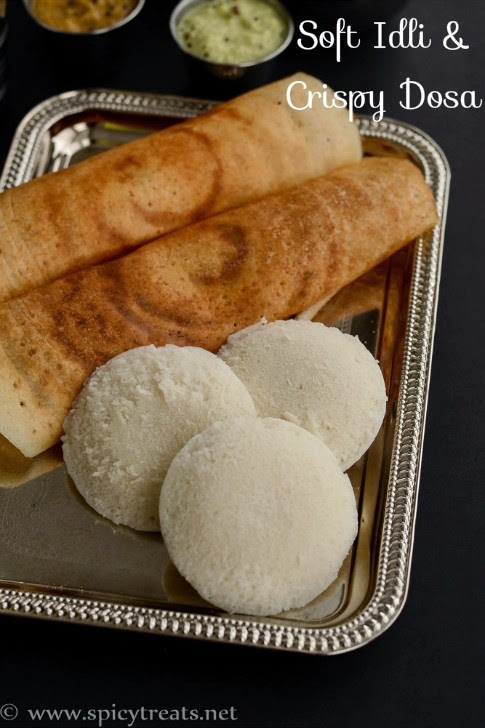 They serve the best soft, flavorful and yummy Onion Oothappam. 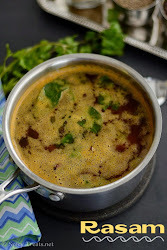 Next to the regular Idli/Dosa batter Oothappam we love this Sooji Oothappam as it quick, easy and tastes yummy too. 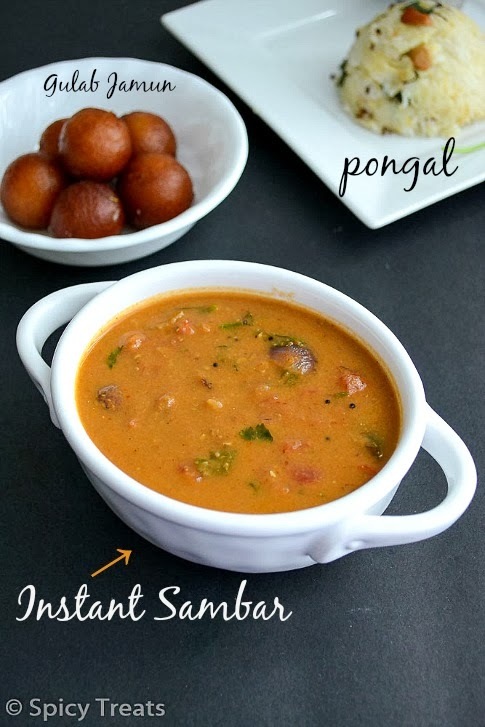 For a change, Do try this Sooji Oothappam and enjoy with your family. 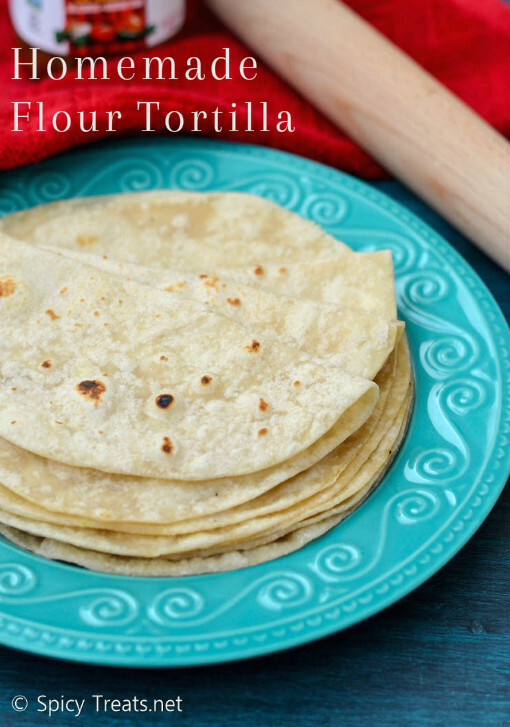 Homemade Flour Tortillas Recipe with step by step photos. 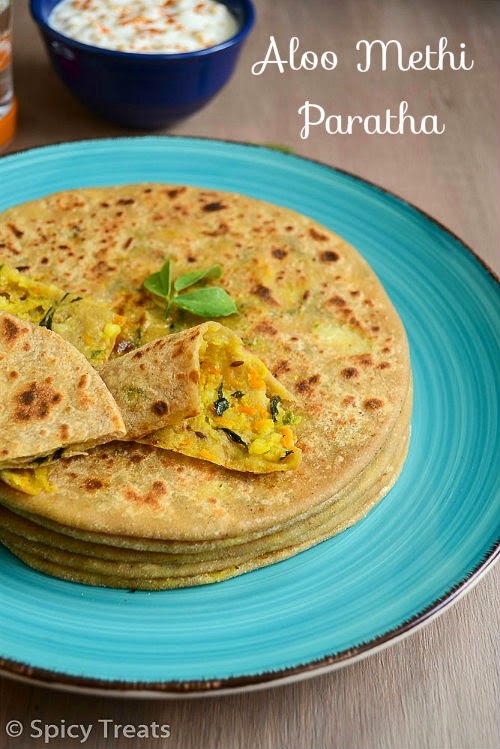 Tortilla is a soft, round flat bread that is prepared using White or Wheat Flour or Maize. 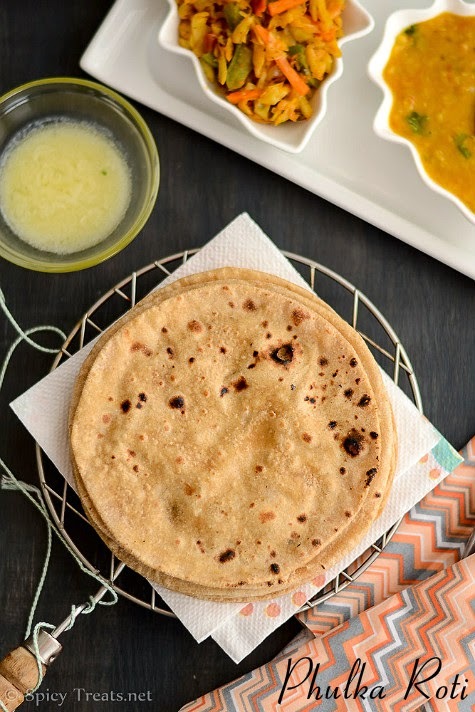 Flour tortillas are used to make Soft Flour Tacos, Quesadilla, Burritos & Wraps. We rarely eat Quesadilla/Burritos at Qdoba & Chipotle. We like Mexican dishes and I wanted to recreat some of our favorite recipes at home. 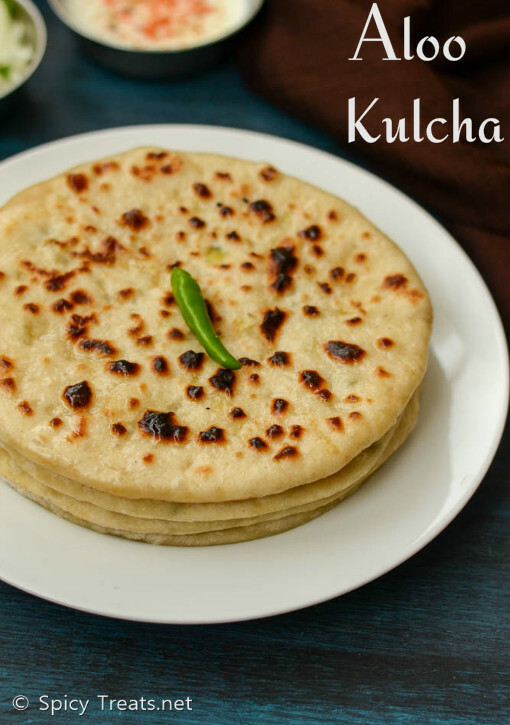 Initially, I used to buy ready made flour tortillas but V doesn't like the flavor and taste of those ready made ones. So, we completely stopped buying the ready made ones. Few weeks back, my little one asked me whether he can have school lunch/hot lunch from school. Even Though I pack his favorite dishes for lunch box he still impressed with the hot lunch served at school.